The Ottoman Empire had a terrible and enduring impact on the lands it conquered. Look at the map. Start in Algiers and let your eye follow the footprint of Ottoman occupied land around the Mediterranean until you reach Sarajevo. Country after country, all of them political and economic disasters, with only minor exceptions. Turkey itself is not too badly off, but the lands the Osmanli Turks conquered and ruled are in bad condition. It’s something about the Ottomans, and Morocco and Greece are the proof. Morocco, never conquered by the Ottomans, is far from perfect, but it is more peaceful and better governed than most of former Ottoman lands. Greece has been an independent country since 1821, but twentieth century Greek political history is a litany of crises, coups, and wars. Nobody pays their taxes and nothing gets done outside the patronage system. Until it entered the European Union in 1981, the Greek economy consisted of olives, sheep, tourism, and shipping magnates. Shipping was the great exception in a peasant economy. All of this was very like the story of rest of the former Ottoman world, peasant economies from which huge numbers of people emigrate. Since joining the European Union Greece has been on the dole. Rivers of German money have poured in, building roads and luring young people off the farms. By the 1990’s the impact of EU transfers was so great that people abandoned the farms on the islands and in the mountains to move to the cities, and a forest began to grow on mountains of the Peloponnese that had been pastures since the Homer was young. But despite all the lovely EU money and an enormous tourism boom, no industries developed, nobody started paying taxes, and you still need patronage to get anything done. Is there a former Ottoman colony that has done better? You can make a case for Hungary. Jordan, Tunisia and Cyprus are not the world’s worst governed or poorest countries. The Saudis, Qatar, Bahrain and Kuwait have oil. Israel has both democratic government and one of the world’s most dynamic economies, but is under constant attack from badly governed neighbors. Overall, the Ottoman lands are in terrible shape. The Balkan states may be beginning to recover from a decade of war, but almost all the countries from Iraq to Algeria have been political and economic disasters. The footprint of Ottoman rule outlines a series of countries with bad – often brutal – governments and pathetic economies. It’s not genetic. Immigrants form the old Ottoman lands are often successful: the Syrian Christians who immigrated to South America are famous for their commercial success, the United States has large numbers of Arab immigrants who arrived as students and stayed to make successful careers, and Greeks appear to be able to become successful, even rich, everywhere except Greece. The problem with the former Ottoman lands is that cultural patters are very hard to change. There was no security of property under the Ottomans, and taxation was erratic and confiscatory; it trained people to cheat, hide their assets and bribe tax collectors. In the former Ottoman lands today tax evasion is endemic. The Ottoman government was routinely unable to keep its subjects safe. The Aegean, Mediterranean, Red Sea and Persian Gulf were overrun by pirates, while large areas of fertile land lay abandoned because it was too unsafe to farm them. Bedouin, Kurds and other tribal groups lived largely by raiding farmers and caravans. Everyone was armed, even Christians villagers in some regions were armed although for a Christian to carry a weapon was against the law. Survival depended on having a group of people who you could trust to defend you: a tribe. It was unwise to trust anyone outside the family or tribe. Many people in the old Ottoman lands still do not. No where except in Israel has a former Ottoman colony been able to produce the kind of mutual trust that enables nations to achieve democratic governments and fair courts; the kind of government that citizens of nation-states like Denmark and the United States take for granted. That kind of government is based on our ability to trust strangers: bank officers, government officials, judges and, in general, everyone we deal with to apply the same set of rules to each of us. In the old Ottoman lands shopkeepers have different prices for different customers, clerks in the Department of Motor Vehicles decide whether or not to give an applicant a valuable commercial driver’s license, and school officials decide whether or not to register a child depending on what family the applicant is from and whether some powerful person is willing to speak in his favor. The Ottoman footprint can be seen in the enormous trust deficit that stretches from Bagdhad, to Algiers to Belgrade. When the World Values Survey tries to measure trust, Turkey shows up as one of the least trusting places on earth. The Ottoman Empire still holds the power to ruin lives, after all these years. Pretty dismal. The rest of the former Ottoman lands aren’t even in the OECD. Temple Mount in the Umayyad period reconstructed by Leen Ritmeyer and copied from http://www.ritmeyer.com/ the best source on the physical history of the Temple Mount. This week huge Muslim crowds surged around one of the holiest sites in Christendom, held back by guards refusing to allow them to enter for prayer. (Photos here) Hagia Sophia was built by the Emperor Justinian in 532, replacing a cathedral destroyed by soccer hooligans. It was the greatest church in Christendom; work did not begin on St. Peter’s basilica in Rome until 1506, some decades after Hagia Sophia was taken over by Islam. 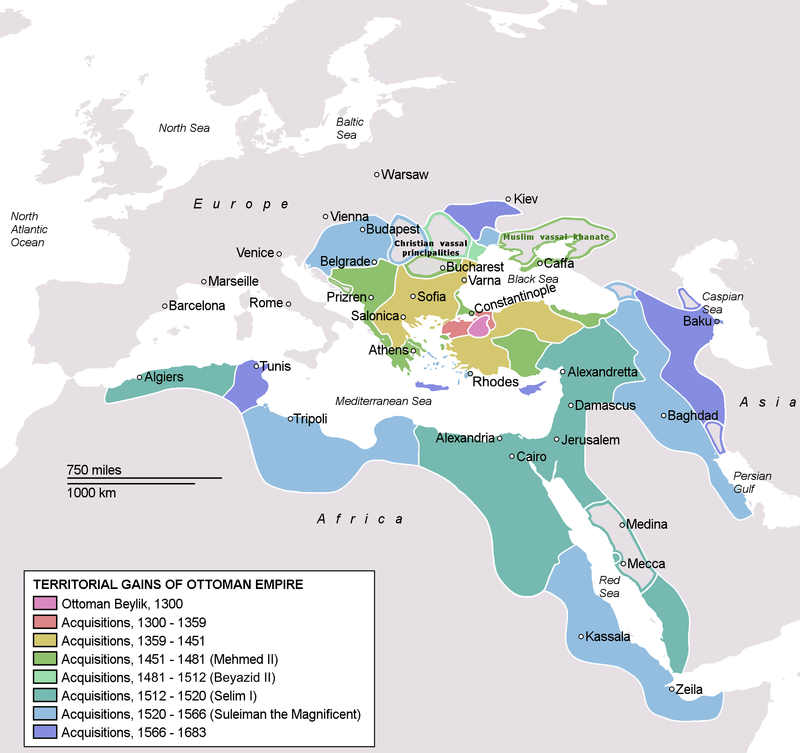 Constantinople was conquered by the Ottomans in 1453. The Parthenon in Athens was converted into a mosque in the same conquest. Far to the west, the expulsion of Muslims from Cordoba in 1236 meant that a Cathedral nave was built into the center of the eighth century mosque considered too beautiful to tear down. But the eight-century mosque had itself been built upon an even older Visigothic church. Claims to the “right” to worship here are complicated, not least because of the claim by some Muslims that all of Iberia is lost Muslim territory that Muslims have a duty to repossess. Meanwhile, Cordoba is a cathedral that welcomes tourists and visitors of every faith, although only Catholic worship services may be held. Recent years have seen a series of violent incidents in which Muslims attempt to hold group prayer in the cathedral. Ataturk had a moment of great wisdom in 1945 when he turned Hagia Sophia into a museum. Neither Christian nor Muslim can kneel in prayer, and neither group can assemble for prayer. But everyone, Atheists, Greek priests, even pagans, can walk freely into the great, domed building and marvel at the glory that was Rome. The Parthenon, built as a Temple to Athena, used as a Christian Church, then as a mosque, is now used as a museum. Jerusalem’s Temple Mount is different from the Cathedral of Cordoba because the Muslim religious authorities in control of the site do not permit free access to people of other faiths. Non Muslims are admitted to the Temple platform only at certain hours on arbitrarily announced days, are often turned away even on days when opening hours have been announced, and are refused entrance into the Al Aqsa mosque and the Dome of the Rock, although non-Muslim tourists were welcome to enter these holy places only a few years ago. At Cordoba, the Catholic Church allows non-Catholics to enter during regular hours and explore the building. As do the authorities at the Parthenon and Hagia Sophia. The Temple Mount is regularly used as a base from which to launch violent attacks on worshipers praying at the Western Wall plaza. But beyond the political and religious aspects of mismanagement by the Waqf, there is the issue of physical destruction. 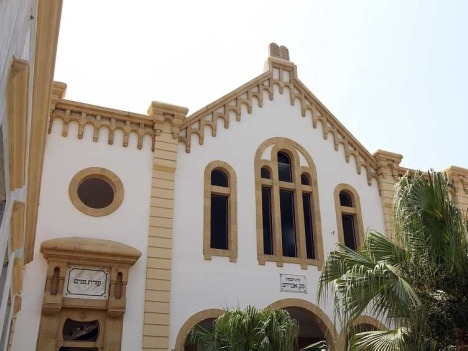 The Waqf has carried out a series of highly destructive projects, removing deep strata of ancient material in an effort to create more underground Muslim worship space for use on the major holidays. Ataturk had a better idea. He turned Hagia Sophia into a museum. This has enabled people of all faiths and of none freely to visit and experience the glories of the great church. But it has also enabled teams of expert conservators and scholars to study the ancient building, with its layers of Christian and Islamic decoration, recording and preserving it for future generations. It is time for Israel to do what Ataturk did. Remove the Temple Mount as a perpetual flashpoint between contending groups by making it into a museum, open to everyone to study and to visit, but open to no one as a space to hold public services of worship. When the messiah arrives, we can let him (or maybe her) take charge. If you think that European sympathy for Jews living in Displaced Persons camps in the wake of the most shocking genocide in human history led the United Nations to authorize the creation of the state of Israel, think again. Margarete Myers Feinstein’s review of In War’s Wake: Europe’s Displaced Persons in the Postwar Order by Gerald Daniel Cohen (Oxford 2011) will persuade you that the Jewish State was created because politicians in France, Britain and Belgium did not want to admit Jews as immigrants (they happily admitted large numbers of displaced persons who were Christian). And because Poland and the USSR did not want their displaced Jewish citizens back. The European politicians who did not want to admit Jews to their countries were decent men. They could see that an enormous injustice had been done. Their solution was what Cohen calls “emergency Zionism”; Zionism as the solution to an emergency. The emergency was that something had to be done with Europe’s displaced Jews, other than admitting large numbers of them to European countries. The phrase “emergency Zionism” was used by Peter Novick in his book “The Holocaust in American Life” (p. 75) to describe the post war support for the creation of a Jewish State among American Jews who had previously been opposed to Zionism, not because they had come to agree with Zionist ideas, but out of a feeling that something must be done to help the displaced Jews of Europe. Novick’s use of the phrase has probably made people who recoil from Novick’s lack of sympathy towards Jewish victims of Nazism recoil from the phrase, but it is time to rehabilitate it for the simple reason that it is useful. It describes the attitude of a great many people who supported the creation of Israel. The emergency the signers ( John D. Rockefeller, J.P. Morgan, William McKinley, and other movers and shakers of the era) were responding to was a wave of government-backed pogroms in the Russian Empire in the 1880’s that persuaded many Jews and non-Jews of good will that Jews could not continue to live in Russia. Yet, like the European statesmen after World War II, they did not want huge numbers of Jews coming to America as penniless immigrants. The solution to the emergency was Zionism. Emergency Zionism; a phrase that should come back into the conversation.